383 in stock Need More ? Jamie Foxx, T.I. and Michelle Monaghan star in this US action thriller. 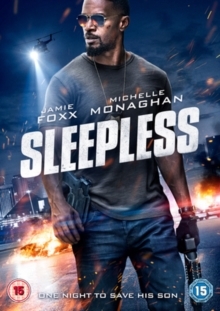 In Las Vegas, police officer Vincent Downs (Foxx) is convinced by his corrupt new partner Sean Cass (T.I.) to help him steal a shipment of cocaine, not knowing that the drugs belong to Stanley Rubino (Dermot Mulroney). The pair then volunteer to investigate the robbery to cover up their own involvement. Powerful mob boss Rob Novak (Scoot McNairy) was handling the sale and, swearing revenge, has Downs' son kidnapped and demands his drugs are returned. As he races to recover his son from Rubino's casino, Downs also clashes with internal affairs investigators Jennifer Bryant (Monaghan) and Doug Dennison (David Harbour) who are watching his involvement in the drug robbery closely.